Ghanaian singer Kaakie has asked fans not to ask her when she would be releasing her next single. Grace Kaki Awo Ocansey popularly known as Kaakie hasn’t been active on the music scene after splitting with Xtra Large Music last year. 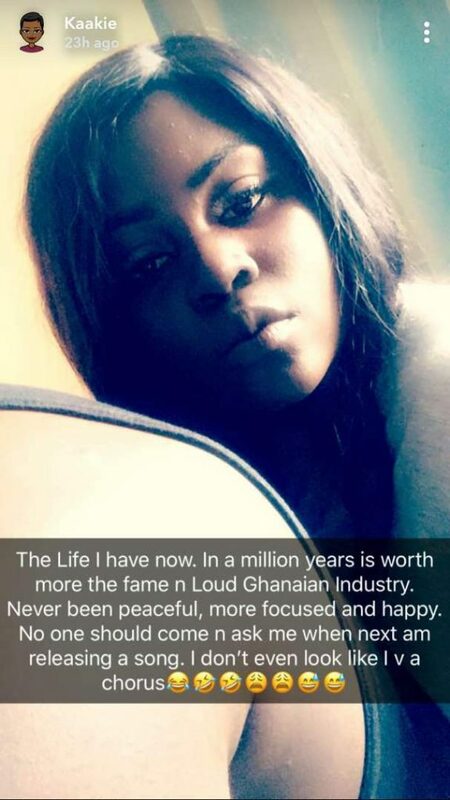 In a snap chat post, the singer revealed her current life was far better than the fame and loud Ghana Music Industry. She went on further to state she hadn’t been more peaceful, more focused and happy in her life. She also warned fans to stop asking when her next song will come out, jokingly ending the statement with “I don’t even look like I have a chorus”. 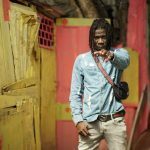 The ‘Kumcha’ hit maker is currently studying in the United Kingdom.